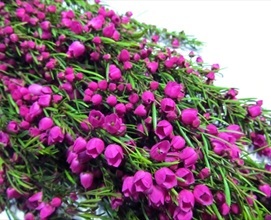 General Comments: Flowers are tiny pendulous bell shaped red to hot pink flowers. Very bright and strong scent. Import into some countries may be prohibited. - leans toward bicolor pink and white at the tail end of the season, but still very beautiful. Popular spring flowering Australian native which is also grown in California. 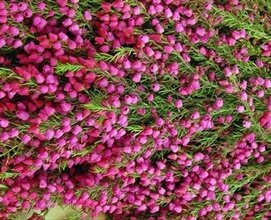 While many varieties exist, the most popular by far for the cut flower trade is the hot pink Boronia Heterophylla and the most commonly marketed variety is called "Lipstick". Coloration of pink Boronias can change dramatically depending on the maturity of cut stage and weather conditions. Heterophylla blooms will appear whiteish or bleached when harvested in an overlly mature state. Other less common varieties include Purple (Jarod), Brown (Megastima), Green ( Clavata) , White (Moonglow) and 2-Tone (Just Margaret). 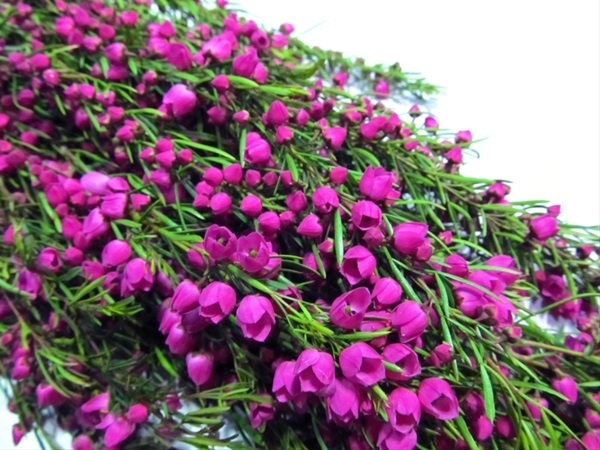 Boronia is available for only a very short period of time (2 to 3 weeks) each year from Australia/New Zealand (September/October) and California (March / April). Should be purchased open at least 70- 80% as it does not continue to open once cut. Named after the Italian Francesco Barone who first identified the Australian species in the 1700's. Usually bunched in 300 to 400 gram bunches. 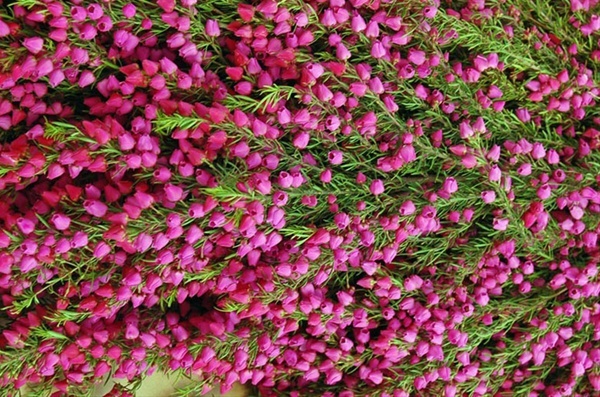 Australian Boronia is usually graded by 5 or 10 stems with a minimum weight standard while Californian bunches are usually graded by weight only. Lengths ranging from 40-90 cm are not uncommon, but should be graded evenly in the box. Must be well bloomed with no "beard" or "bypass" growth. Should be shipped 70 to 80 % open. Should be graded by stem length, stem count and bunch weight. Should be treated with a Silver STS pulse to avoid shattering. Anti-Ethylene blockers can be helpful for long distance shipping. Can overheat easily in transit, cold chain must be maintained for export.